As on March 31, 2009, the Gross and Net NPAs were very high and stood at 54.14% and 48.74% respectively. A merger proposal with respect to the bank was received in June 2014 which was also not found viable, as it did not meet the regulatory requirements. As such, there is no viable merger proposal under consideration. In view of the above, RBI took the extreme measure of cancelling the licence of the bank in the interest of bank’s depositors. With the cancellation of licence and commencement of liquidation proceedings, the process of paying the depositors of The Mirzapur Urban Co-operative Bank Ltd., Mirzapur (Uttar Pradesh) the amount insured as per the DICGC Act, will be set in motion subject to the terms and conditions of the Deposit Insurance Scheme. 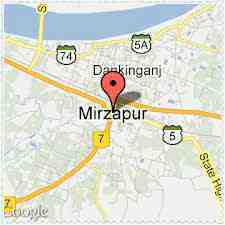 Mirzapur is famous for its hand knotted carpets and also Blue Potteries, toys of Chunar stone, Sculptures and Brassware. 2014 - RTGS HolidayMirzapur (Uttar Pradesh)The Mirzapur Urban Co-operative Bank Ltd.
Till last year, RTGS/NEFT were closed on July 1, 2014 as RBI was closed for public transactions on account of its annual closing of accounts. It may be noted that RBIs accounting year is July to June. This year as a departure from the norm, RBI will work on July 1, 2014 to facilitate Public Transactions. The morning LAF window will operate between 12.30 p.m. and 1.30 p.m.
On April 24, 2014 Thursday, due to General Parliamentary Election 2014 in Mumbai, RTGS and NEFT ePayments systems will remain closed. As this holiday is in the middle of the week, there should not be a major impact on RTGs/NEFT transactions. As IMPS (Immediate Payment Services) channel will remain open, the volumes in IMPS will see a surge. RTGS and NEFT, the two predominantly ePayments systems in India are closed on 18/04/2014. The holiday is on account of ‘Good Friday’. On 18/04/2014, very Banks in very few states are open. Gujarat, Rajasthan and Chhattisgarh are amongst the handful of states which are open on 18/04/2014. The next day i.e. Saturday April 19, 2014 is a half working day for RTGS and NEFT Payment systems. ePayment transactions already in Queue on the banks online banking channels would move first on 19/04/2014. As and when the physical bank branches start to open, transactions from the bank branch channels would also join the ePayment channels.